Gilbert de Clare, the son of Richard of Clare, was born in 1180. He married Isabel, the daughter of the Earl of Pembroke. In 1200, King John became involved in a long-drawn out war with France. This war was expensive and John was forced to introduce new taxes to pay for his army. 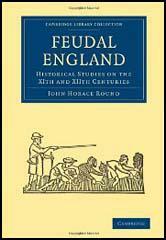 This created a great deal of resentment in England, and John's position was not helped when, in 1205, the king's army lost control of Normandy, Brittany, Anjou and Maine. In 1215, King John made another desperate attempt to gain control of his lost territory in France. Once again he was defeated and was forced to pay £40,000 to obtain a truce. When John tried to obtain this money by imposing yet another tax, the barons rebelled. Gilbert de Clare was one of the leaders of the rebellion. Few barons remained loyal, and in most areas of the country, John had very little support. John had no chance of victory and on 15th June, 1215, at Runnymede in Surrey, he was forced to accept the peace terms of those who had successfully fought against him. The document the king was obliged to sign was the Magna Carta. In this charter the king made a long list of promises, including no new taxes without the support of his barons, a reduction in the power of his sheriffs and the right of a fair trial for all freemen. The barons had doubts whether King John could be trusted to keep his word. A small group of barons were given the task of making sure that John kept the promises he had made in the Magna Carta. 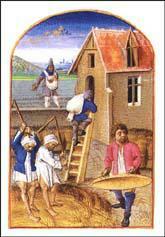 Two of the barons chosen were Gilbert de Clare and Richard of Clare. Soon after he signed the charter the king appealed to Pope Innocent III for help. 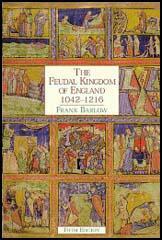 The pope was concerned about this rebellion and decided to excommunicate the barons who had fought against their king. The pope also provided money to help King John recruit foreign mercenaries to fight against his disloyal barons. The civil war resumed. One of King John's main targets was Richard of Clare and in November, 1215, his troops seized his castle at Tonbridge. The following year King John died and was succeeded by his son Henry III. A year later Richard of Clare also died and Gilbert became the 7th Earl of Clare and the 5th Earl of Hertford. Although the sons of bitter enemies, Gilbert and Henry became close friends and it was not long before the family were given back Tonbridge Castle. In 1225 Gilbert inherited the estates and the title of the Earl of Gloucester. He also inherited the estates of his grandmother, Maud de St. Hilary. Gilbert de Clare was now the most powerful magnate in England. He controlled 456 manors and when requested, had to supply the king with 260 knights. In 1230, Gilbert de Clare agreed to help Henry III win back land that King John had lost in France. Gilbert de Clare was killed while fighting in the king's army in Brittany on 25th October, 1230.